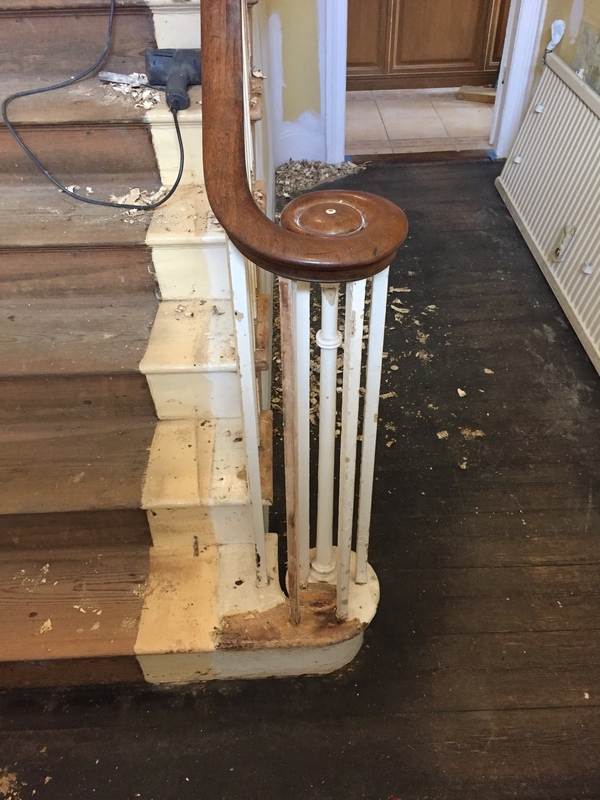 Like any good job and good customer, this job started with being offered a nice mug of tea followed by a brief discussion outlining the procedure of work . 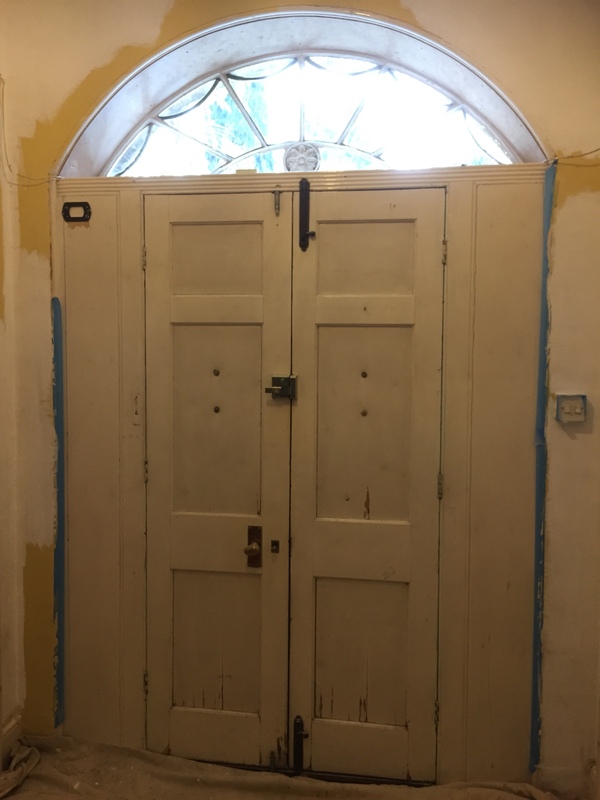 Decorating older properties often reveal interesting facts about the house hopefully I will discover the previous decorator of this Hallway. 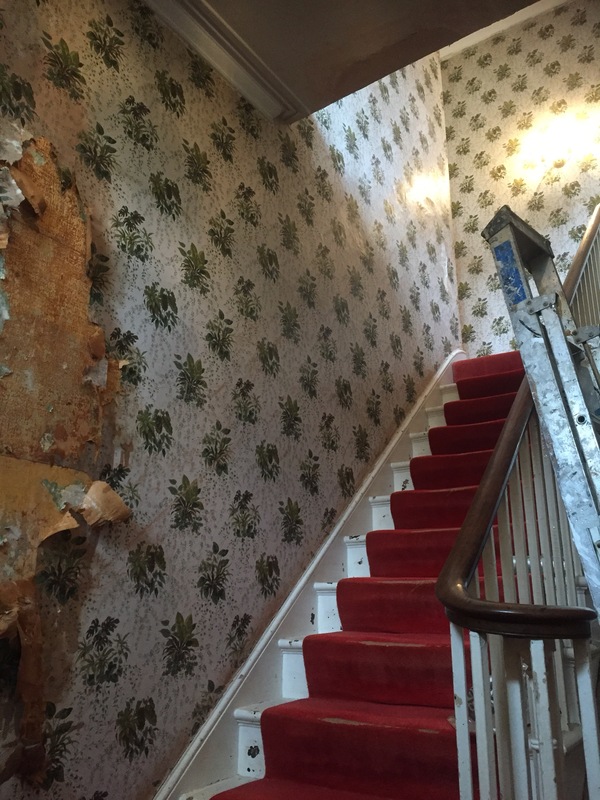 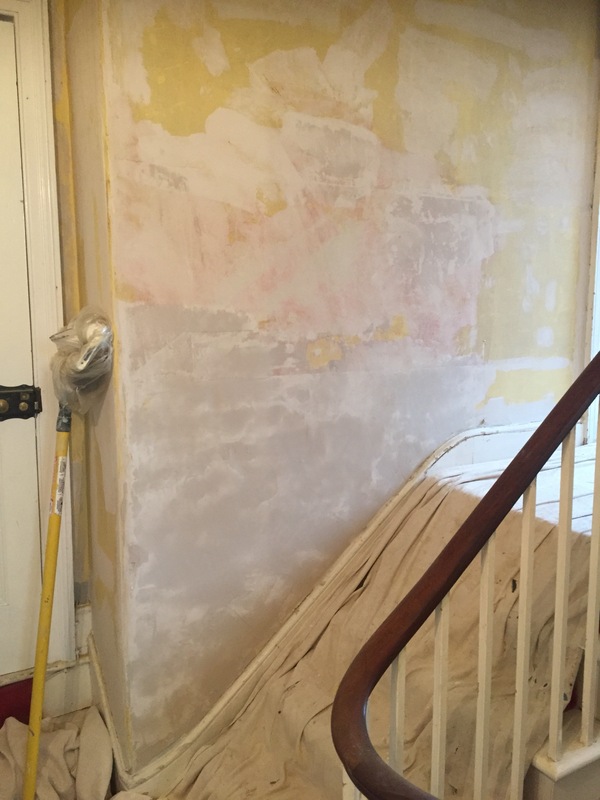 Removal of the wallpaper proved to be a more difficult task than anticipated, a steam stripper was used and at the start revealed not 1 but 2 wallpapers to be stripped and in day 1 the progress was slow and day 2 carried on with the wallpaper stripping. 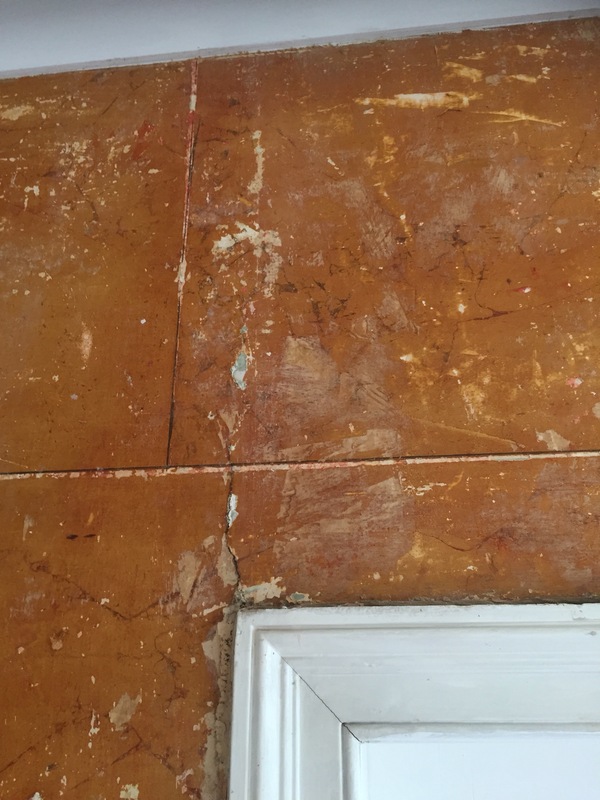 The paper below was discovered not to be patterned wallpaper but had been lined then a faux effect applied of large blocks of sienna marble, a dark shade on the upper part of the walls and a lighter shade on the lower third on the stair well walls, I forwarded pictures to an expert in this field at timbizley.co.uk who gave me an estimated age dating from 1820 – 1840.
before filling the walls they were sealed and rubbed down , the process is then repeated. 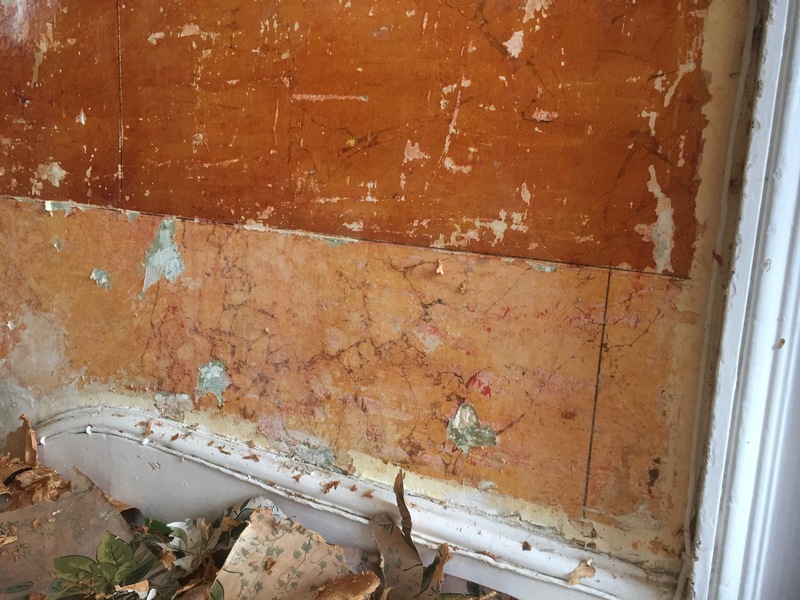 The lower ceiling had previously been lined and then a distemper applied to ceiling and cornice, usually I would remove the lining paper and re- line but due to the poor condition of the ceiling I decided in this circumstance it would be wiser not to disturb things too much. 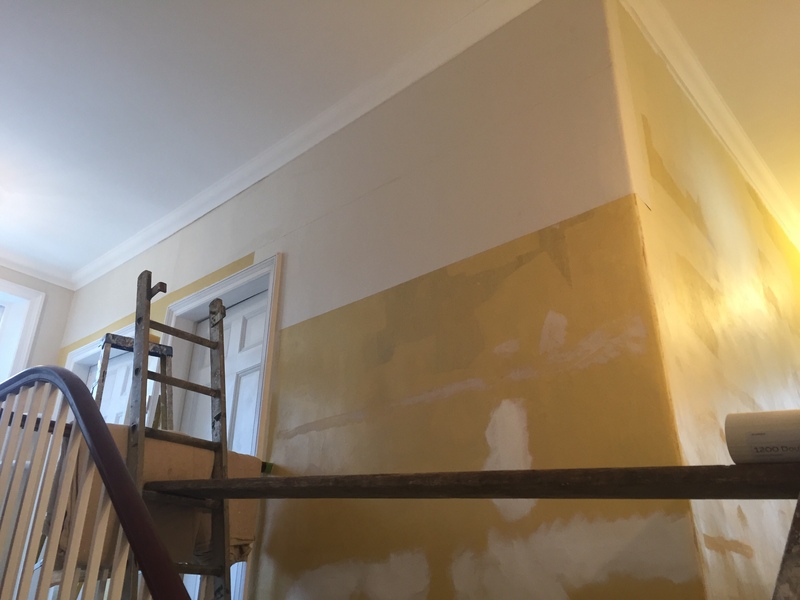 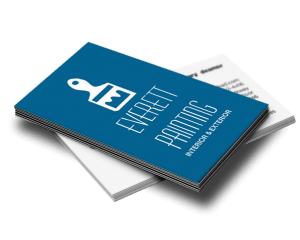 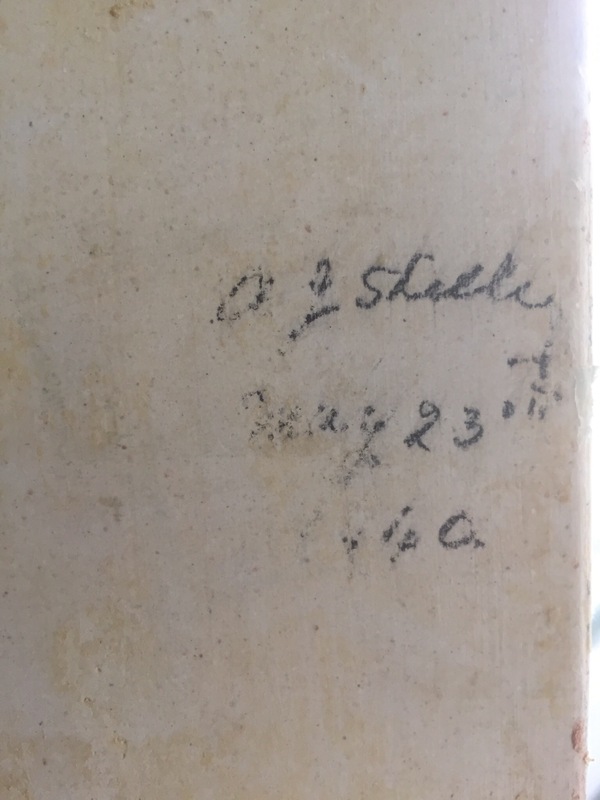 Distemper cannot be painted over with emulsion and was first treated with a great product from Zinsser called Peel Stop, the ceiling was then able to accept 2 coats of white emulsion. 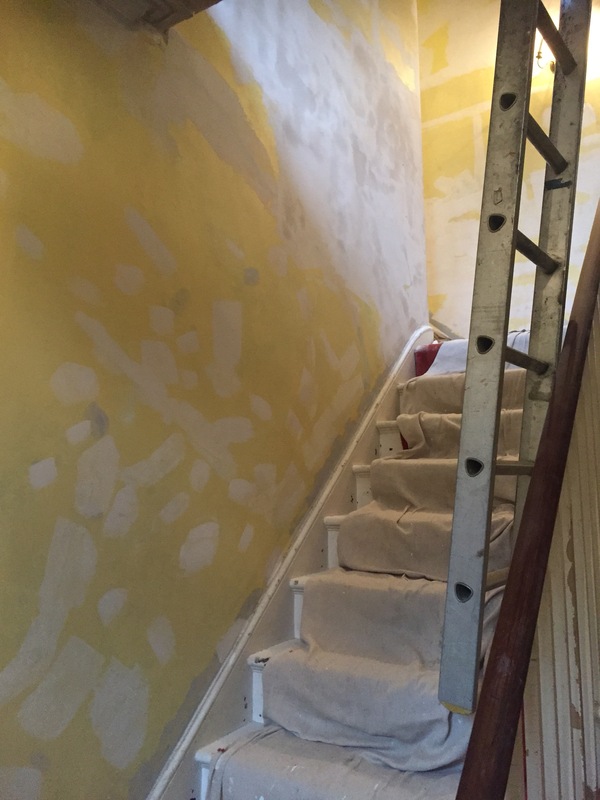 The next stage was cleaning down the woodwork priming where necessary using Zinsser shelack based primer and then applying an oil based Undercoat, the cracks holes and chips were then filled using a 2 pack wood filler and re undercoated. 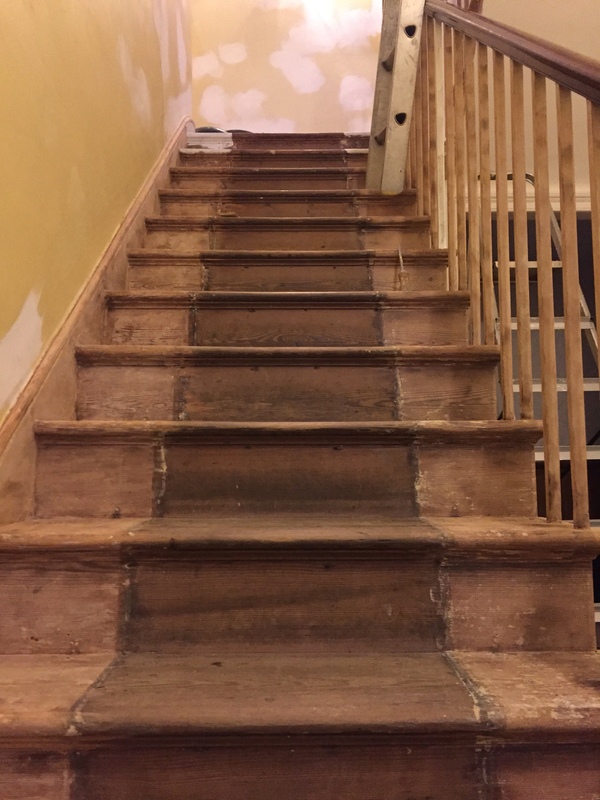 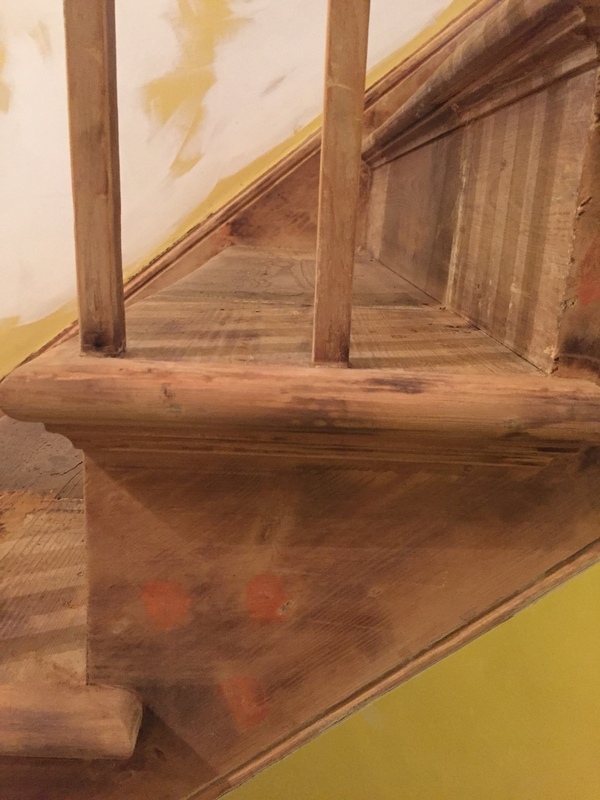 This week is yet another week of preparation work, the banisters , sides and treads and rises were all to be stripped, having accumulated about 200 years work of paint most of the finer details of the mouldings had been lost in the layers of paint. 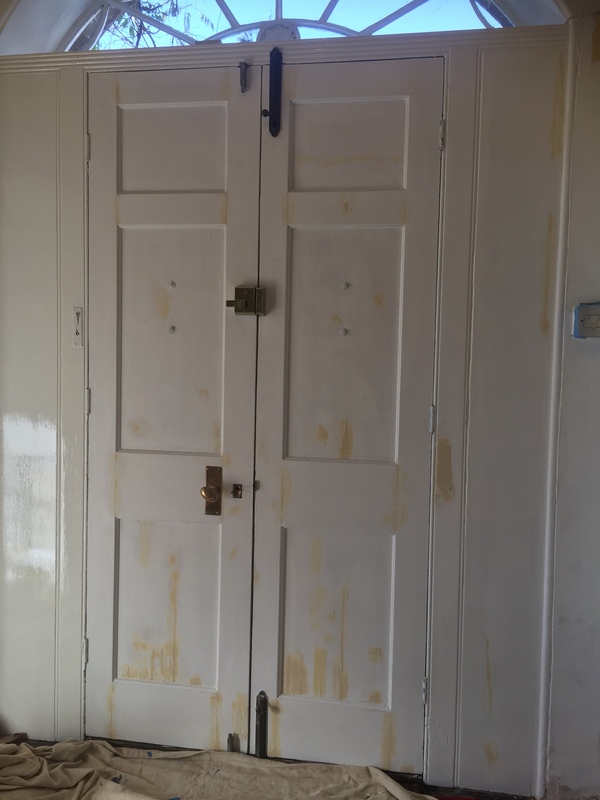 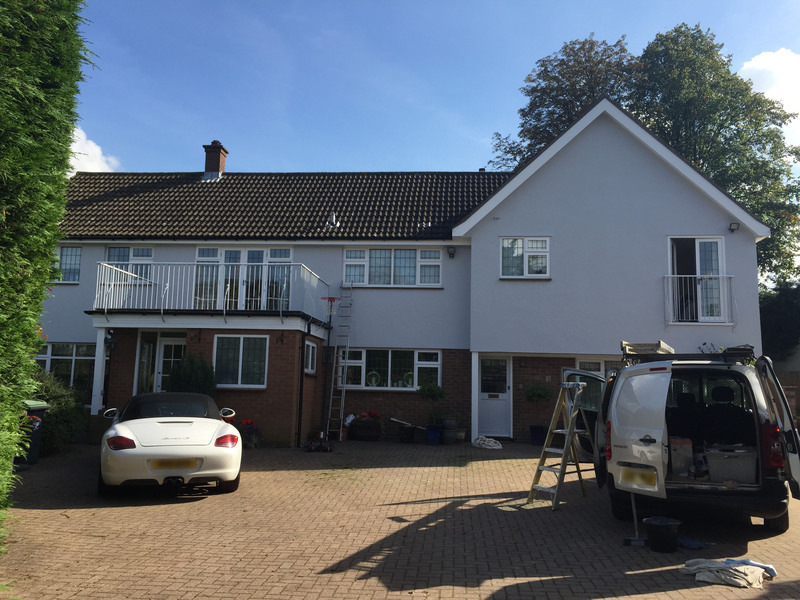 The paint was removed using a heat gun then the woodwork was primed filled with 2 pack wood filler then an oil based Undercoat applied. 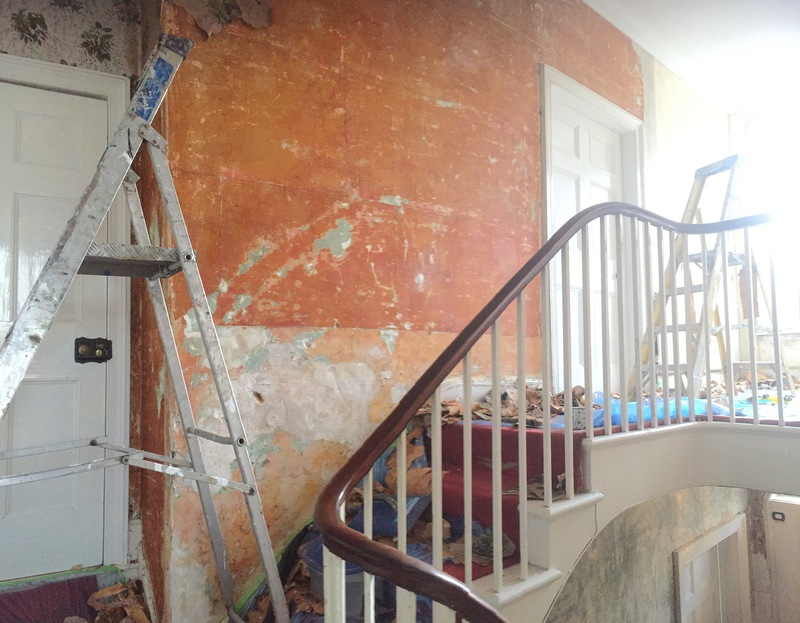 With most of the preparation work completed the walls are now ready for lining. 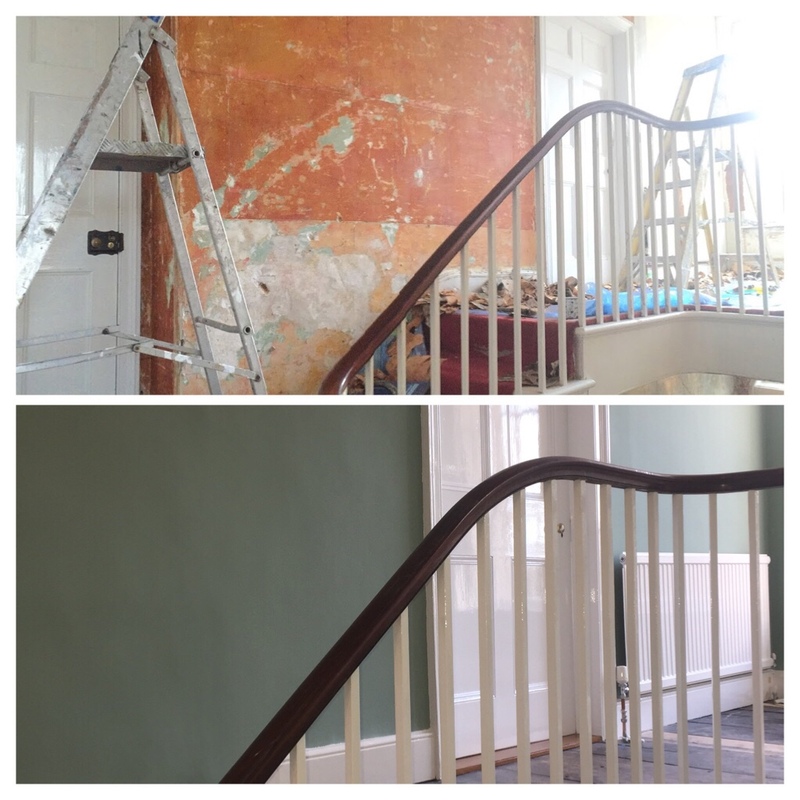 The final week week is spent adding the finishing touches and glossing up. 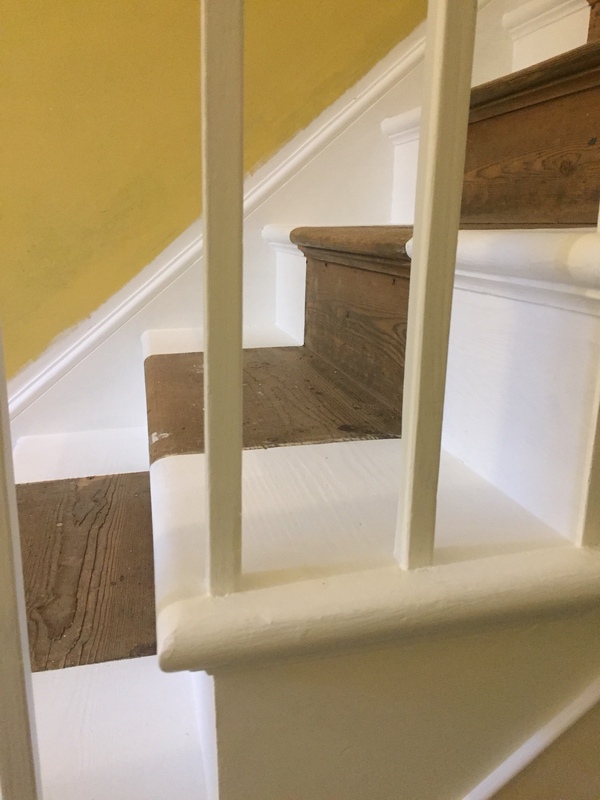 The woodwork is finished in Crown Trade White full gloss. 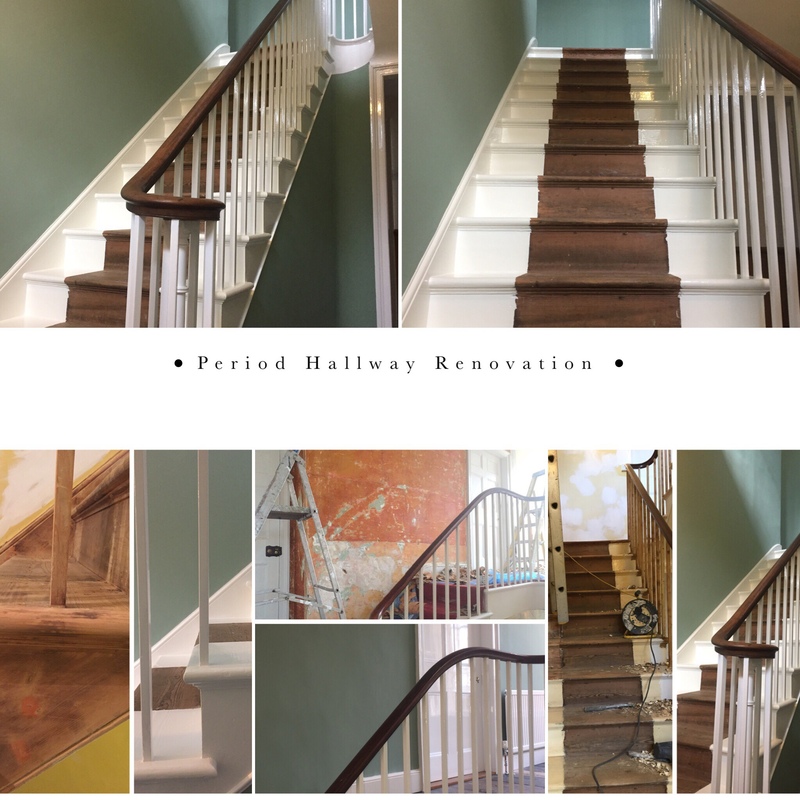 On completion the hallway was restored to its former glory while retaining its original character and features.